I love to work in an area that is all ship shape! Good job on the organizing front!!!! I hate the cleaning up part...but I also hate to try to start working in an area that is a mess - lol. I need a maid! Looking forward to seeing your new project. I just did a big clean up in my downstairs craft room and it took all day. I played as much as I sorted! 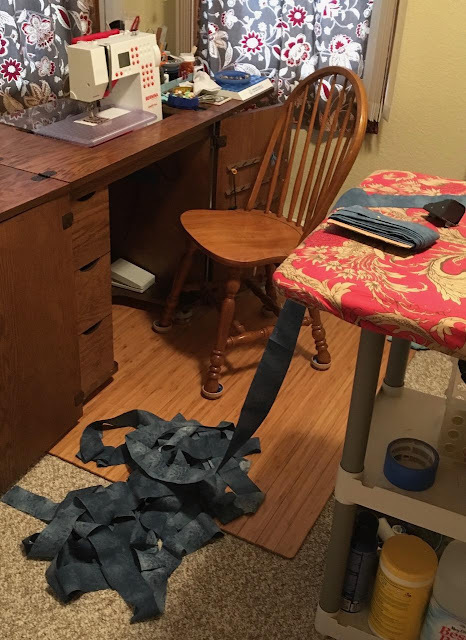 Your sewing room sounds like mine! Mine doubled as my work office, so I can't let it get too out of hand, but it's amazing how messy it can get in a short period of time. I usually have to do a clean up on Monday mornings before I can sit with my lap top to work. My weekends get very messy! I can’t stand clutter when I’m trying to work. I like everything put away and in its place. Unfortunately, when the kids were small none of them felt the same. It always seemed I spent half of my time looking for supplies that we’re out of place. Congrats on getting everything back in order and ready to go. When can you come over and declutter me? Pack a big suitcase. Great job! I need help getting myself organized again because I keep getting distracted when I tackle it. And the clutter is beginning to weigh on me again. Amazing how fast things can get messed up, isn't it? Doesn't a good tidy-up feel GREAT? I have to do that from time to time with my desk! Now you can sew up a storm again!